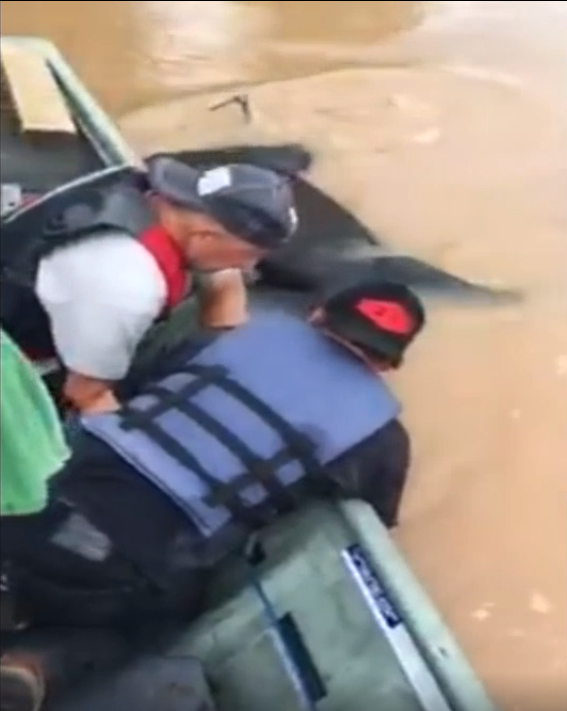 We see people rescuing household pets like dogs and cats during flood but rescuing huge and massive poultry animal is a whole other matter. 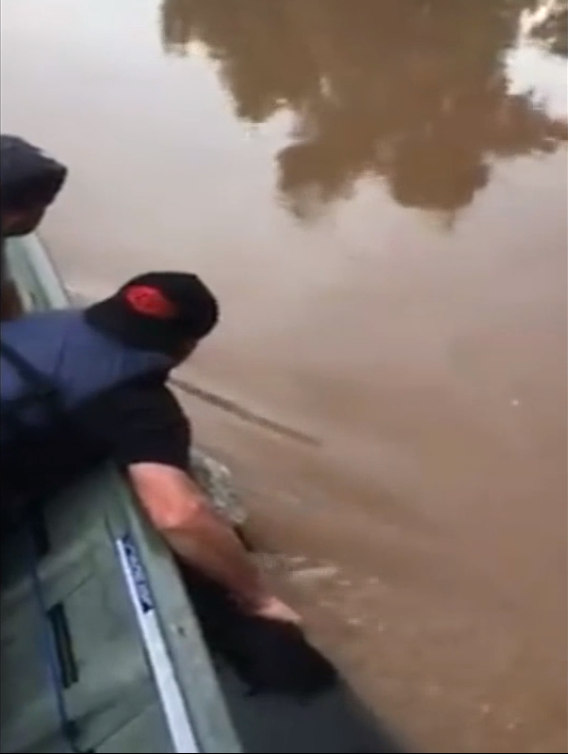 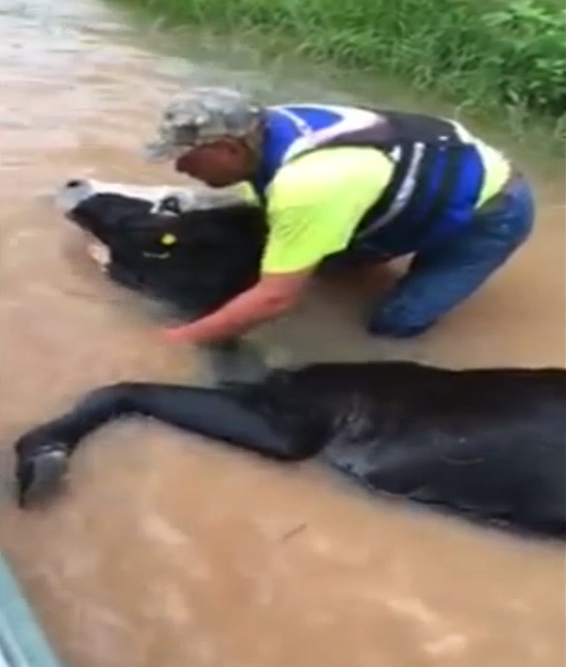 A cow found herself stuck in high water during a flood in Texas and was finally rescued by several after a few hours of struggling. 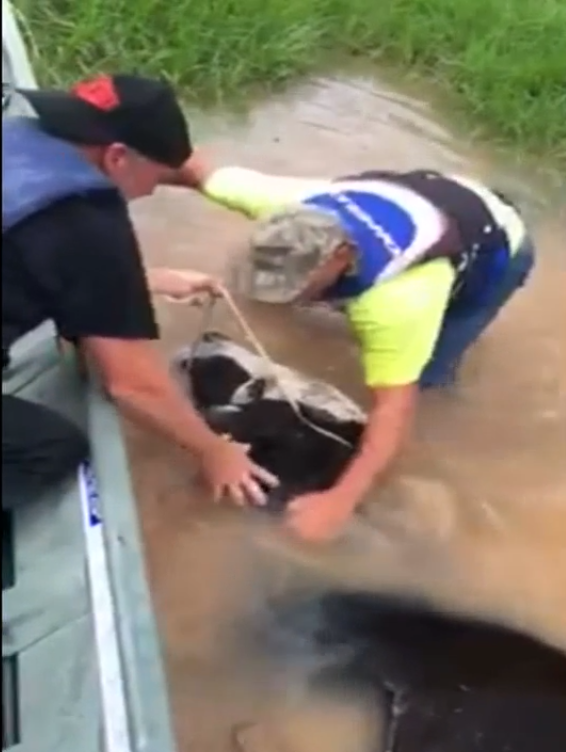 These kind men used all their strength to keep the cow afloat for an hour before successfully rescued the her to land. 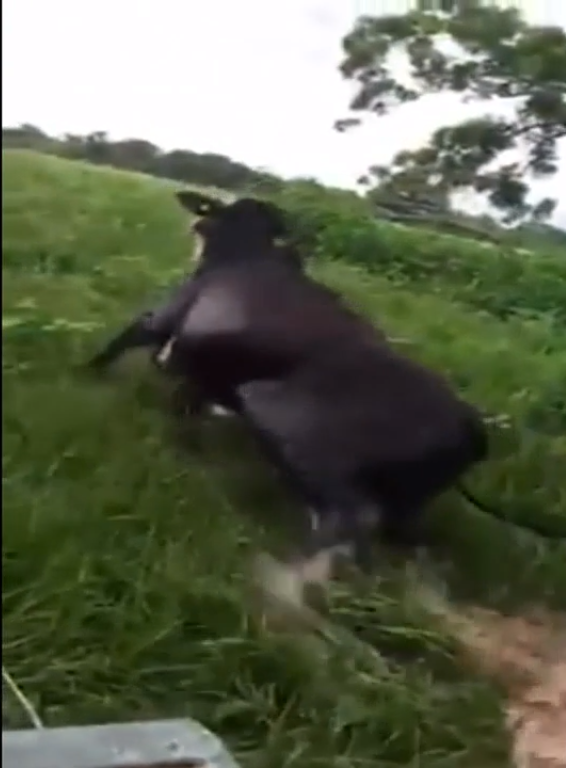 It happened in Fulshear, Texas when former sheriff’s chief deputy Craig Brady and his friends took the mission to save the cow. 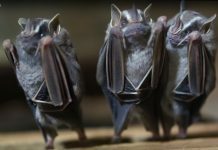 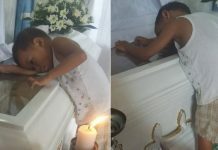 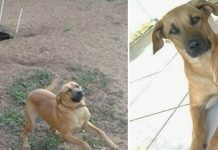 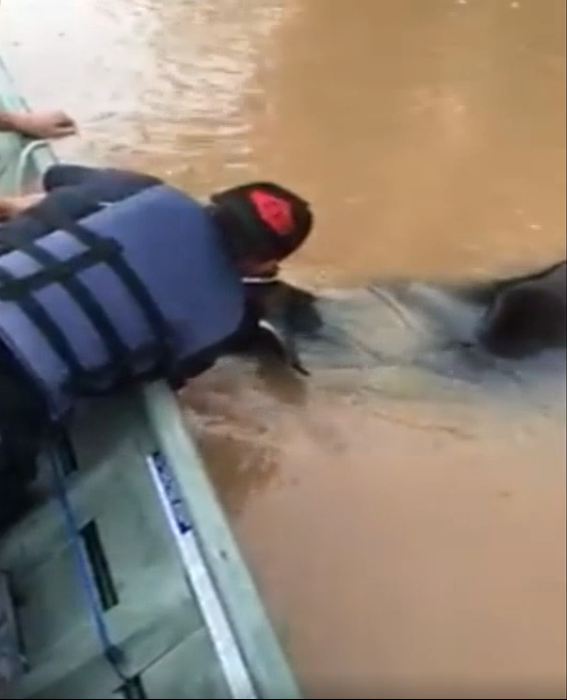 The viral video was posted by Dodo about 3 months ago and has attracted more than 38 millions views. 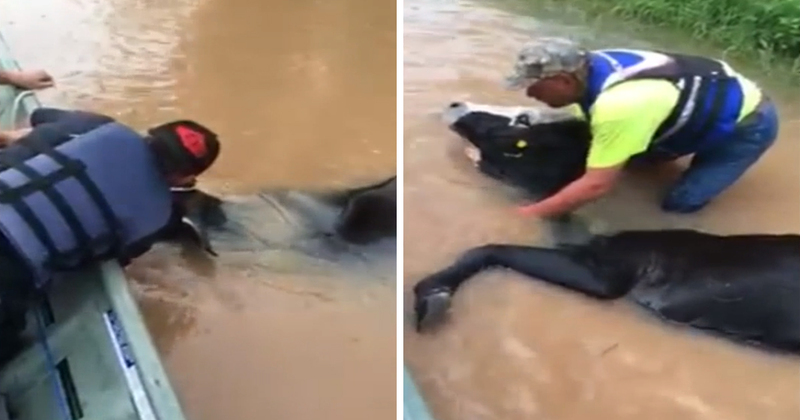 For a minute, a guy tried keeping it afloat for 1 hour by holding on to the cow’s head above the water. 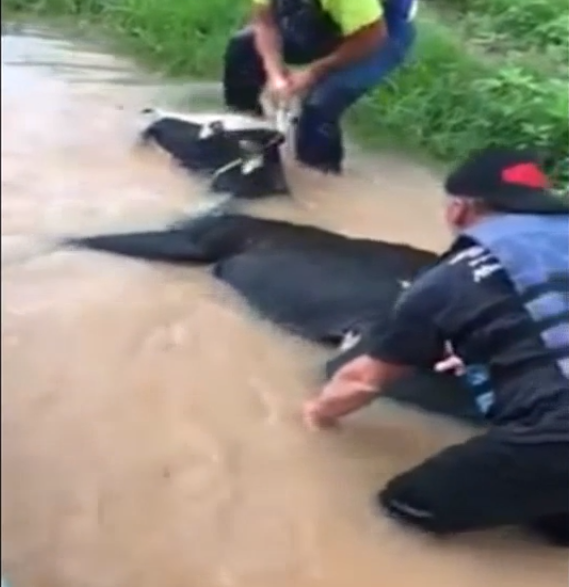 All thanks to this group of brave men that this drowning cow manage to continue to live on!